Residency Unlimited: Stay Focused! - Execute Magazine! 1. Can you explain what you mean by ‘Unlimited Residencies’? The word “unlimited” in Residency Unlimited (RU) references our intention from day 1 to provide as performative a platform as possible in terms of support to the artists participating in our program. 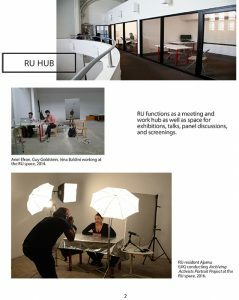 When RU was founded in 2009, we opted form the start to set up an alternative residency model that operated differently from a conventional studio program where artists are invited to occupy a work space to create new work as in the notion of a traditional residency. With RU, the primary focus was never so much about the occupation of space but to foster a more expansive approach that would allow us to actively and simultaneously work across multiple platforms whilst incorporating collaboration as a key element of our work methodology. 2. How did this program get started and how has it evolved? RU’s mission is to foster customized residencies for local and international artists and curators at all stages of their career through partnerships and collaboration. 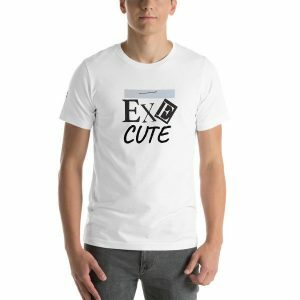 It got started because prior to RU I had worked in other residency institutions both in France and New York. Based on accumulated experience I was interested in developing a different residency format that would be based on customization and collaboration as opposed to studio space. The New York context lent itself well to this. At the start of RU, we had minimal resources and no space of our own. Thanks to the generous support of the Lower Manhattan Cultural Council (LMCC) we worked for the first year from an office space in the Financial District before moving in October 2010 to our current space in Brooklyn which functions as a work space but also serves for public programming. RU is located in Caroll Gardens in quite a unique setting inside the nave of a landmark church building with a huge stain glass window and 60 ft high ceiling. The space is not very large but certainly very spacious from a vertical standpoint! Artists are invited to use our shared workspace. This is where they will meet the art professionnals we connect them to on a weekly basis. 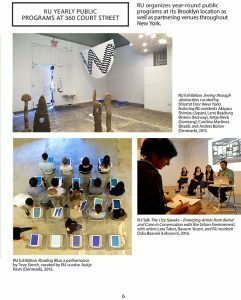 Each artist receives technical support when necessary and is invited to participate in a group show or an event at the end of their residency. The selection process is rigorous involving the RU staff and jurors determined by the international sponsors (mainly institutional) that fund the residencies of artists from their home country. RU also does open calls for New York based and American artists. But all in all each artist receives funding to participate in our program and benefit from our support. -what kinds of facilities are necessary for a residency framework in a city like New York where other studio programs exist ? -Is it necessary to have a permanent site or even to own one? -What about sharing resources with other institutions if you have minimal resources of your own? The RU model was designed to respond to the multilayered context of New York City. Through the partnerships we develop we are able to activate resources other than our own, and increase the network capacity for participating artists. So for example we partner with other residency programs to place RU artists in an individual when RU’s shared workspace is not appropriate for such and such a practice. We collaborate with venues where we organize exhibitions of new work by our artists. We also collaborate with a hospital and a community based organization for certain projects that require such a context. Each year we collaborate with Visual Aids to bring over a curator from another country that we select together to work on HIV/Aids related issues. It may seem confusing but it is really very straightforward. This way of working requires a great deal flexibility from the staff and the artists – at times the artists will navigate between different locations- but once you get it the benefits are tremendous for each party involved. I believe that this way of working mirrors the New York context. 3. Who has founded the program? Are you a non-profit organization? Residency Unlimited (RU) was founded in 2009 as a 501 (c) 3 not for profit organization. The co-founders are Sebastien Sanz de Santamaria currently Director Operations at RU and I (Executive Director). Previously we worked together at Location One, a non profit arts organization based in Soho (NY) where I was the director of the international Residency Program. organization. 4. There is a lot of websites that offer or review residency opportunities. What makes your’s different? 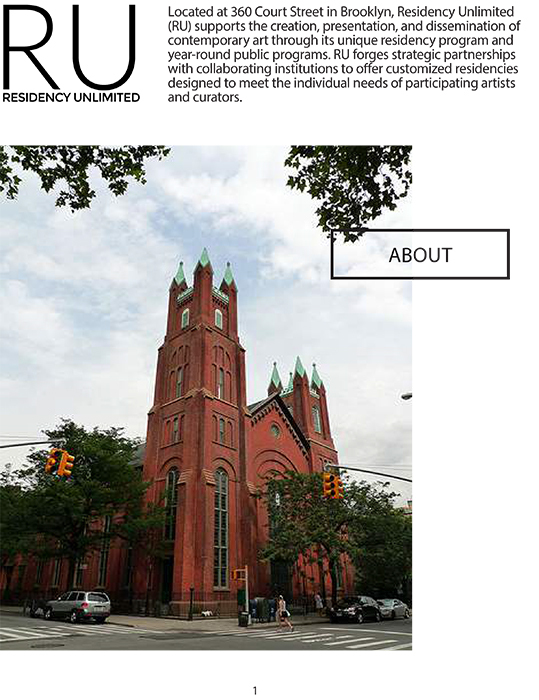 Indeed besides being a residency program, The RU website has become a main “go to” source for artists residencies, specifically due to its “RU Opportunities” listing service for residency opportunities and deadlines. As you say we are not the only ones to this nor do we pretend to do so. But we get comments that the design is great and that artists have successfully found out about a residency thanks to our service. Here again we are fulfilling our mission to serve artists and the creative process. We are bringing this service to another level. In 2016, RU Opportunities merged with two other online listing platforms, China Residencies and Rate My Artist Residency to create res, a new unified search tool for creative opportunities. This project is currently being developed by NEW INC, the New Museum’s yearlong incubator program for art, design, and technology. As a joint effort, the purpose of Res is to design, identify and pair eligible artists with artist opportunities in a faster and more efficient manner that what RU Opportunities was providing . The launch will take place at the end of this year. 5. What do you think is different now from it was 10 years ago when you began your program? The number of artists participating in our program has grown exponentially. We started with 1 artist in 2009 and now host approximately 50 artists per year. From February 1st to November 30th there is on average 15 artists per month over a 10 months period. 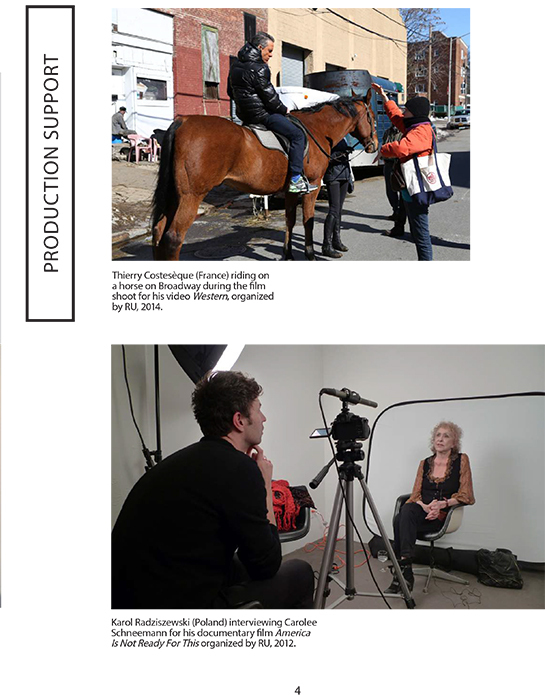 Each artist gets customized support as well as an exposure opportunity (exhibition, talk, screening). The number of public programs has also increased. 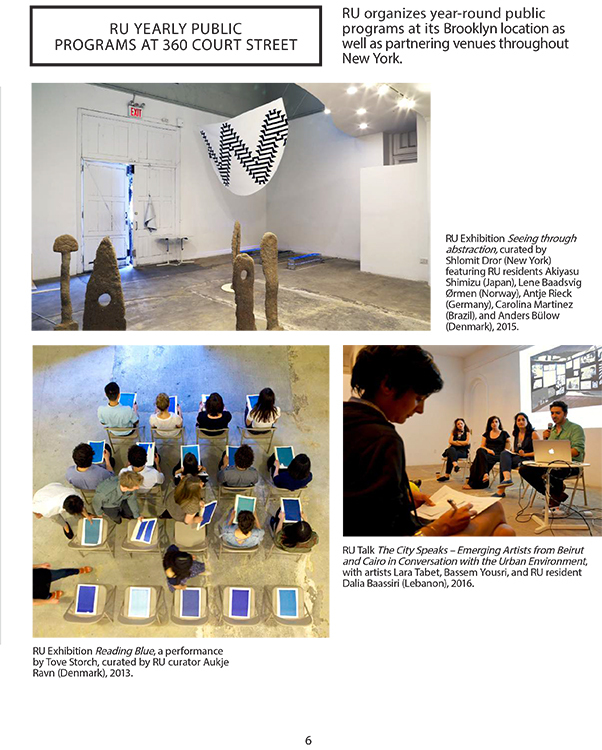 We organize on average 2 to 4 public programs each month at our space or collaborating venues. 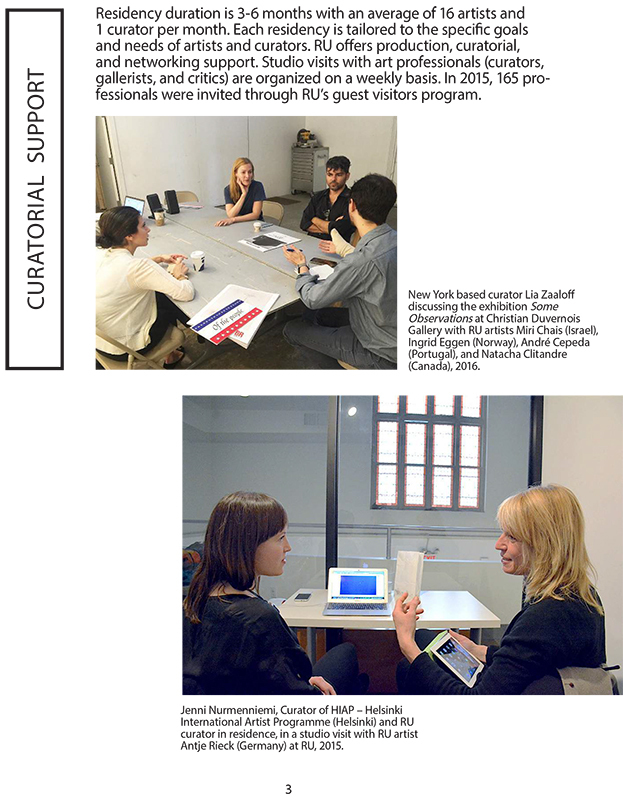 In terms of the network support , in 2016 we invited 180 guest visitors (curators, gallerists, critics, arts administrators) to provide critical feedback to the artists. This is a very large number of people and administratively challenging since we are such a small team. 6. What is in your opinion for the future of artists in residence? 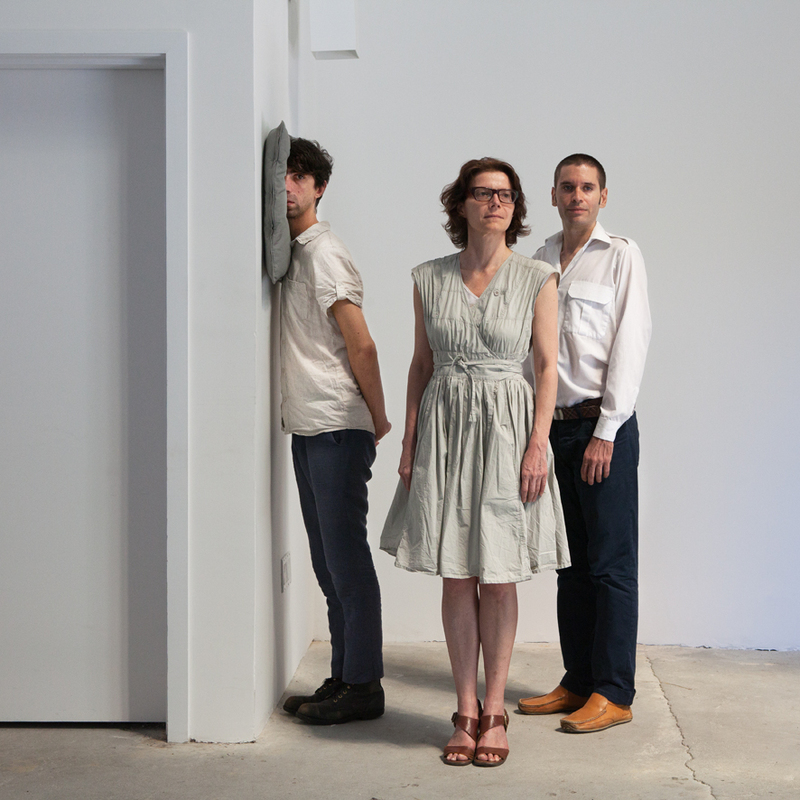 There is a trend right now that suggest that artists don’t really need galleries to succeed. Do you think that artists need more residency programs? 7. What would be your advice to artists? Stay focused, don’t panic and come to RU!!!!! we will take good care of you.